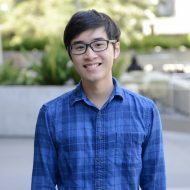 Posted byKen Lohatepanont	 July 3, 2016 July 3, 2016 Leave a comment on Could WW1 Have Been Avoided? This post was originally written two years ago for the centenary of the First World War on a different blog. With the centenary of the Battle of the Somme, I’ve decided to repost this article. A hundred years ago, the First World War was started after Archduke Franz Ferdinand was assassinated in Sarajevo by a group of Serbian nationalists. People ever since have wondered the question of whether the war could have been averted, or at least postponed. After all, if 20 million casualties would result from something as small as the assassination of just one man, then surely there must have been a way the war could have been avoided? Now, obviously if the assassination didn’t happen then the whole thing wouldn’t have happened the way it did. But the assassination of Franz Ferdinand was so close to not happening that it’s pretty amazing that the assassins still got to kill their target. One of the loaders fell down. This caused both barrels of the gun he was carrying to be discharged, the shot passing within a few feet of the archduke and myself…I have often wondered whether the Great War might not have been averted, or at least postponed, had the archduke met his death then and not at Sarajevo the following year. The archduke also tried to avoid going to Sarajevo when he was invited to attend military maneuvers. The trip was to happen on St Vitus’s day, a holiday in which Serbians vowed revenge against their enemies; Sarajevo happened to be in Serbian-claimed territory. 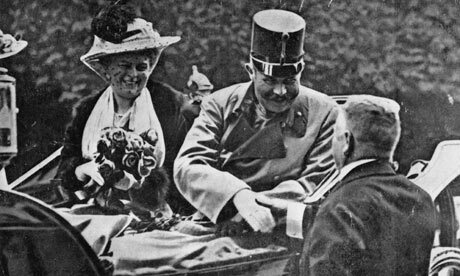 Franz Ferdinand asked not to go, fearing for his own life, but Franz Josef, emperor of Austria-Hungary and his own uncle, insisted he was to go. (Franz Josef never liked or trusted his own nephew anyway). The assassination in itself could’ve been unsuccessful. The gunshot that killed Franz Ferdinand wasn’t the first attempt on the archduke’s life; he’d just survived a bombing attack that morning. Yet when an official proposed that for Franz Ferdinand’s return trip soldiers be made to lined the roads, the proposal was still vetoed for fear that the soldiers just back from military exercises wouldn’t have correct uniform. The archduke’s driving route was even changed to make the route safer, but the new route had not been given to the driver, and so managed to drive straight into the hands of the assassin. Franz Josef hated his nephew, Franz Ferdinand. The fact that archduke Franz Ferdinand was the man to be assassinated in Sarajevo was also very unfortunate. 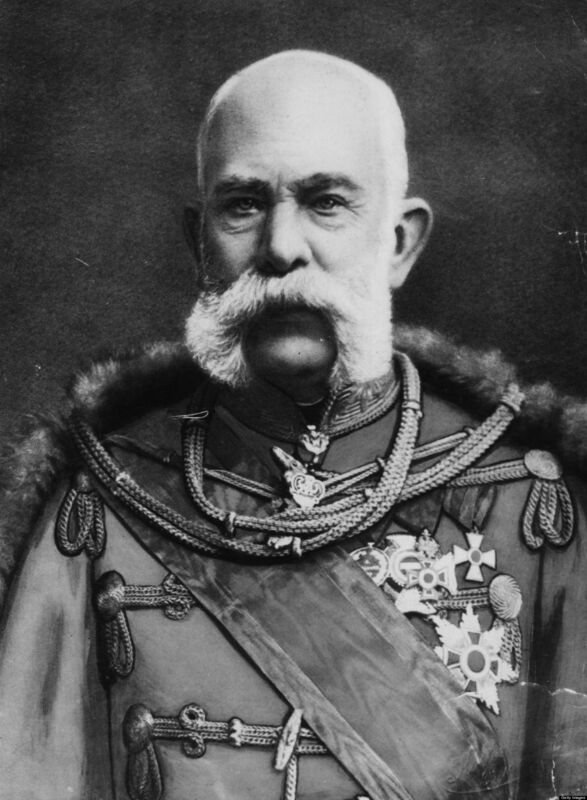 Nationalism, an underlying cause of the war, could have been calmed down if Franz Josef died and Franz Ferdinand took the throne; he was willing to toy with ideas of reforming the Hapsburg empire into a federated state that would include its many minorities. A United States of Austria; would that have avoided or postponed the war? Franz Ferdinand was also a vocal opponent to war. Antiwar at heart, he disapproved of the schemings and delusions of Kaiser Wilhelm II, an erratic monarch who would play his own role in paving the way for the Great War. If another figure was gunned down instead of Franz Ferdinand, perhaps he would have reduced the bellicose attitude of Austrian foreign policy in the assassination’s aftermath. Finally, Franz Ferdinand also advocated for better relations with the Russian empire, who viewed the Balkans, in particular the Slavic peoples within it, as a place that Russia had a right to protect. Franz Ferdinand understood that a major confrontation in the Balkans that led to war with Russia would be disastrous for Austria-Hungary. War could have been prevented. Grigori Rasputin, the tsar’s trusted advisor. Rasputin’s reputation is one of a mystical lunatic who broughtTsar Nicholas II and the Romanov dynasty to their downfall. However, he was also a pacifist. Rasputin could possibly have stopped the war from happening in 1914. A year before, when the Second Balkan War broke out, Rasputin warned an indifferent tsar that the Balkans were not worth going to war over. The tsarina wrote that Rasputin was always warning about the dangers of war, and a Russian newspaper even gave him credit for preventing a war in 1913. A terrible storm menaces Russia … Woe, disaster, suffering without end … Do not let fools triumph. Do not let them do this thing. Perhaps if Rasputin was in St Petersburg with the tsar, not thousands of miles away in Siberia, he could’ve been a major influence that could have prevented a general Russian mobilization. After all, Rasputin was one of Nicholas’s most trusted advisers, and only the tsar could have ordered a general mobilization of the Russian army. If the army hadn’t mobilized, then the conflict between Serbia and Austria-Hungary could perhaps been kept localized. In truth, the war probably would have happened sooner or later. New imperialism, rising nationalism, accelerating militarism and the unraveling of the Bismarckian web of alliances meant the war was probably inevitable. However, it’s still interesting to think about how the war might have happened later, or at least have unfolded in a different way. In the summer of 1914, so many circumstances, if changed, would have prevented the war from breaking out then.